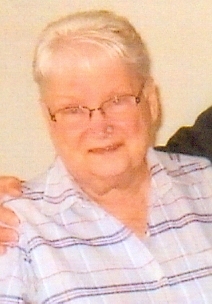 Sheila Mae (Lloyd) Cogan, 81, of Liberty, passed away January 16, 2019, at Liberty Hospital with family at her side. Visitation will begin at 2:00 pm, followed by a service celebrating Sheila's life at 3:00 pm, on Saturday, January 26, at Park Lawn Northland Chapel, I-35 at State Route 291, Liberty. Memorials are suggested to the Washington Restoration Branch, where Sheila was a church member, 15528 Washington School Road, Excelsior Springs, MO 64024. Sheila was born December 20, 1937, in Independence, MO, the elder of two children of Donald and Alma (Miller) Lloyd. She was united marriage to Carl L. Cogan on January 25, 1953. Along with her father Donald Lloyd and mother and step-father Alma and Tom Owen, Sheila was preceded in death by her husband, Carl L. Cogan, and brother, Kenneth Lloyd. Sheila worked at Liberty Hospital since it was established, and for the next 25 years until she retired in 1997 as a Unit Secretary. Survivors include her three children, Mike Cogan (Kelly), Keith Cogan (Vicki) and LeAnne Riedel (John); seven grandchildren, sixteen great grandchildren, and three more great grandchildren due this year. So sorry to hear of her passing. I enjoyed taking care of her and talking with her at Norterre. Prayers to her Family. So sorry to hear of Sheila’s passing. Admired her so much & worked with her all those years at the hospital. Always so gracious, kind, & funny. She taught me a lot about dealing with people, situations & life. She will be missed by many.